As the name suggests, water saving toilets are designed to reduce the water used per flush, resulting in reduced water bills and high-water efficiency, which is good for the environment. In actual numbers, these toilets usually release 1.28 gallons per flush or less, making them WaterSense certified. Some even have dual flushing mechanisms, making them more practical because you get a powerful flush and a water-efficient flush in one. However, there are quite a variety of these toilets and getting a good one might be a little tricky if you don’t know what to look for. 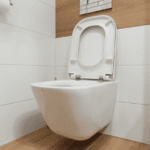 This article looks at 5 of the best water saving toilets that you can get in the market so that you have an easier time picking the most suitable unit. 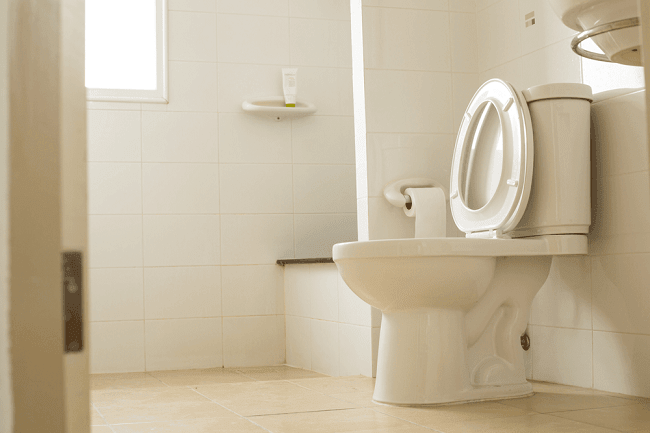 Now that you are considering buying a water-saving toilet, we have provided you with a list of the best ones in the market after carrying out hours of research. Go through the list below and pick the one you prefer most. Toto’s Drake II is the most expensive water saving toilet in this review but is also a top-rated piece. This shows that there is something uniquely special about it. Well, for starters, this toilet has a powerful 1.28 gallons per flush system, whose performance is enhanced by a tornado flush technology, in which the bowl has a hole-free design with dual nozzles to spin the water as it rushes down. The result of this is a powerful centrifugal rinse that pushes everything down the drains with ease. On top of this, the Drake II has a Cefiontect glaze, which gives the bowl a lubricious quality, preventing particles from sticking to the surface. This leads to a much cleaner outcome after every flush. Structurally, vitreous china is used to build the entire unit, and it comes in two pieces (bowl and tank), making it easier to handle during installation. 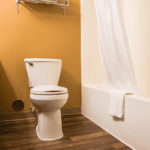 For comfort, the toilet is ADA compliant, which means that the rim is set at a right height from the ground (17-19 inches) for comfortable seating across a wide range of users. The bowl also has an elongated shape that is more comfortable to sit on as compared to rounded bowls. Other features include 4 color options (cotton white, colonial white, bone and Sedona beige) and a left-hand chrome trip lever. Powerful 1.28 gallons per flush system. Cefiontect glaze prevents particles from sticking to the surface. ADA compliant. Rim is at the right height from the ground. Available in 4 color options (cotton white, colonial white, bone and Sedona beige). If you are on a tight budget, Niagara’s stealth toilet is a good water-saving toilet to consider. Despite being this affordable, the toilet actually performs very well in terms of efficiency because only 0.8 gallons of water are released per flush. 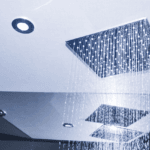 To make the flush effective, the system is pressure assisted, which makes the small volume of water very effective at pushing everything down the drains. Unlike other pressure assist systems that are very noisy, this one is extremely quiet and hence the “stealth” title. For comfort, a right toilet bowl gives a comfortable seating position for most adults while an elongated shape provides a larger surface area for an even more comfortable seating experience. 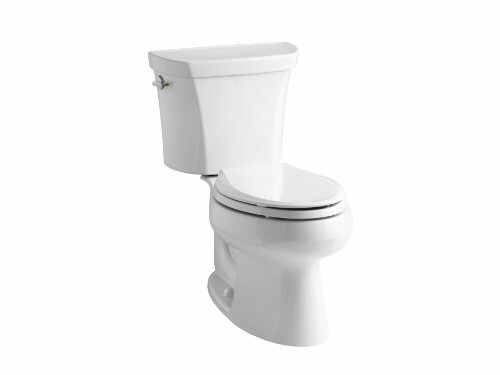 Construction wise, vitreous china is used and it provides the strength and durability required of a toilet while on pieces, the tank and bowl are separate, making them easier to handle during installation. Other features include a white only color option, a 12-inch rough-in on the floor mounted bowl and a flushing button instead of a handle, which is placed at the center of the tank just above the pressure assist setup inside the tank. EPA WaterSense certified due to its highly efficient 0.8 gallons per flush system. Strong and durable vitreous china construction. Flushing button instead of a handle. 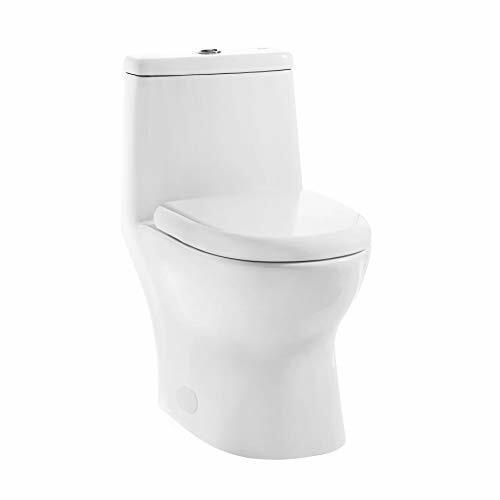 American Standard is a well-known brand in this segment and its 2887.216.020 stands out from the rest due to its dual flushing system, which is very practical. This system comprises of a 1.6 gpf full flush for washing down large residue (up to 1000 grams) and a water-efficient 1 gpf light flush that is rated at 400 grams. The toilet comes in two pieces that are all made using vitreous china coated with an EverClean surface inside and out, protecting the surface from mold, algae, mildew, and fungus. This prevents staining and deterioration while also making it very easy to clean. Apart from this, the 2-inch trapway is fully glazed, making it resistant to any particles. For comfort, the toilet has an elongated bowl design that is more comfortable to sit on, but there is a round-bowl option just in case you have limited space in your bathroom. However, both options are standard height toilets, which means that they might be a little bit uncomfortable for adults, especially the tall ones. Other desirable features include a PowerWash rim technology for enhancing the flushing performance, a chrome plated top mounted push button actuator and 3 color options, which are white, linen and bone. Dual flushing system (1 and 1.6 gpf). EverClean surface prevents staining and makes it easy to clean. Available in elongated and round bowl shapes. Chrome plated top mounted push button. Available in white, bone and linen color options. If you prefer having a one-piece toilet, then Swiss Madison’s SM-1T112 should be on your radar. Combined with its fully skirted design, this single piece unit has a very sleek look, small profile and is very easy to clean. On water efficiency, this Ivy toilet has a high-performance gravity dual flush system that channels out a modest 0.8 gpf for light flushing and 1.28 gpf for a full flush. 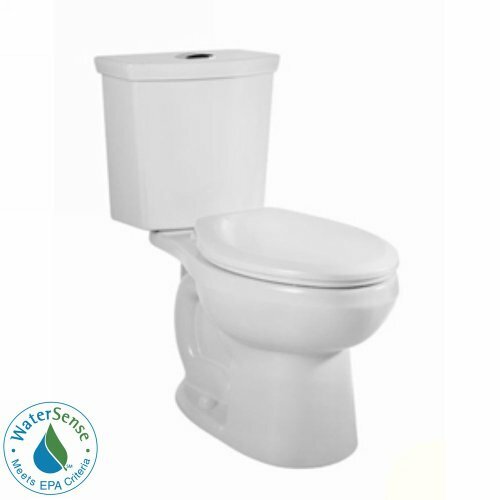 This means that even the heavy flush is WaterSense certified because it meets the EPA flushing guidelines. The bowl is designed to provide a tornado flush using two nozzles instead of rim holes, creating a powerful vortex that pushes all the waste down the drains with ease. Comfort is also incorporated into the toilet’s design, having an elongated bowl that provides more surface area to sit on and a comfort-or right-height that is more comfortable for a wide variety of people. Other features include a ceramic construction, a soft closing seat as an accessory, availability in white only. 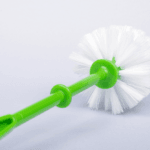 The fully skirted design gives it a sleek look and makes it easy to clean. Dual flush system (0.8 gpf and 1.28 gpf). Comes with a soft closing seat. Kohler is a very popular brand when it comes to toilets because their products are of very high quality. Looking at the K-3988-0, this unit features a dual flushing system that is controlled using a left-hand nested trip lever, giving you the option of either a 1.1 gpf light flush or a 1.6 gpf full flush. 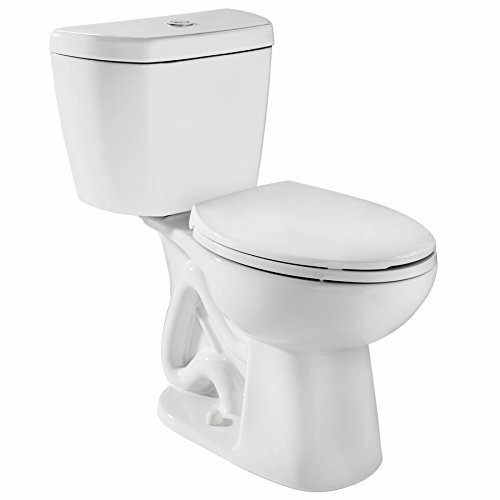 Structurally, this product is a two-piece toilet that consists of a K-4198 bowl and a K-4458 tank, which when combined form the K-3988-0. 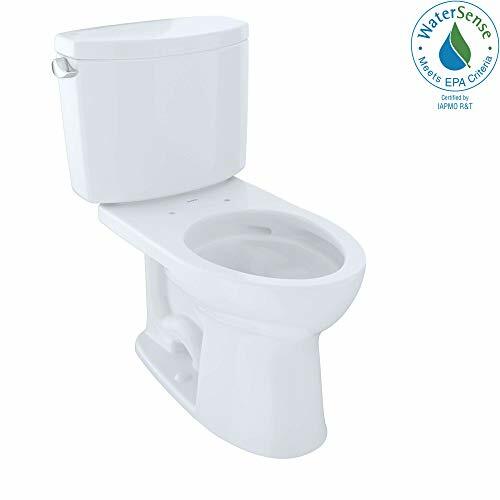 Vitreous china is used to build both the bowl and tank, giving the toilet the strength and durability that is required of it, and it has an elongated bowl that is comfortable to sit on due to the extra surface area. In terms of color, this product is available in white only, which is sort of a universal color for most toilets. A 2-piece toilet comprising of a K-4198 bowl and a K-4458 tank, which create the K-3988-0 when assembled together. Left hand nested trip lever. Even though these are water saving toilets, there are some differences when it comes to flushing. Some units have a single flushing system, which basically means that they release the same amount of water per flush, usually 1.28 gallons. However, other toilets feature dual flushing systems that can release less water (1.28 gallons or below) for the light flush and 1.28 or 1.6 gallons for the full flush. Such units are usually more practical because at times you may need more water to push down more waste. Apart from this, other desirable features to check in the flushing system include tornado flushing, which creates a powerful vortex of water in the bowl or a pressure assisted system, especially if the toilet is designed to release a very modest amount of water per flush. Toilets are either single-piece or two-piece. 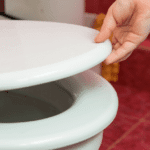 A single piece toilet has its tank and bowl permanently fused together and this makes it more convenient to install because you just have to tie the toilet to the floor. However, being permanently fused together, this type is very bulky and can be difficult to handle during installation. On the other hand, two-piece toilets are usually easier to handle during installation because the parts are less bulky on their own. However, more work is required as you also have to connect the two pieces together during installation, making the process slightly complicated. Since you spend quite some time sitting on the toilet per day, it should be very comfortable. Comfort is usually considered when it comes to the bowl shape and height. For the bowl shape, elongated toilets are more comfortable to sit on as compared to round ones due to the extended surface area. However, they usually take up more space in your bathroom and therefore, might not be the best option if the room is small. On height, most adults sit well at a height of about 17-19 inches and some toilets are designed to be this high at the bowl’s rim so that you can have a comfortable sitting experience every time. Color does not have any impact on the performance of the toilet, rather it is meant for aesthetic purposes. It is recommended to get a toilet that matches your bathroom’s interior décor so that it can fit in perfectly. Alternatively, white toilets are quite universal, and can easily blend in with any interior. This factor is determined by a number of things, key among them being the construction and more specifically, what the surface is made of. Some units have EverClean surfaces that resist staining, mold, fungus, mildew etc., making them very easy to maintain. Others have fully glazed surfaces that don’t allow particles to stick on them. On the physical design, a few have skirted sides, leaving you with smooth surfaces that are easier to wipe. Generally, it is wise to get an easy to clean toilet because it will be easier to maintain. Accessories are always an added plus and in the case of toilets, the extra component is usually a toilet seat. If it is included, it makes the deal much better. In conclusion, water saving toilets are good to have especially in these times when water is getting scarce every day. Following the guide above, you should be in a better position to pick the best water saving toilet that works for you from the list above.